Through another to learn my interior self. Blessed is the union that turns I, me, and mine into we, us, and ours. Blessed this union that issues a new grammar of love. 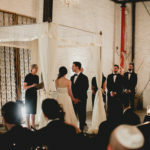 Rabbi Schanerman incorporates traditional text, poetry, song, and personal reflections to create a meaningful ceremony unique to each couple. Rabbi Schanerman meets with the couple twice to get acquainted and to plan the ceremony. 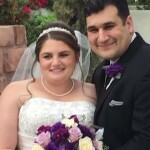 Jewish wedding ceremonies follow Reform tradition. Interfaith wedding ceremonies do not include all traditional Jewish wedding prayers. We substitute creative and beautiful poetry and prayer in those places where the traditional prayers recited between two members of the Jewish religion would not be appropriate in an interfaith setting. An interfaith ketubah, chuppah, and the breaking of the glass are welcome additions to the ceremony. The couple is responsible for acquiring the wedding certificate and having it signed at the wedding. Rabbi Schanerman will mail it to the State of Arizona. The member fee is $300.00 (nonmember fee is $400.00) payable directly to Rabbi Susan by check or cash. This includes the ceremony and up to two meetings (or one meeting and rehearsal.) Additional meetings/rehearsals are $50.00 each. Unlimited email and phone support. The balance is due to Rabbi Schanerman at least one month before the ceremony.